Puzzles encourage hand/eye coordination, build a multitude of learning skills, and are just plain fun to do. 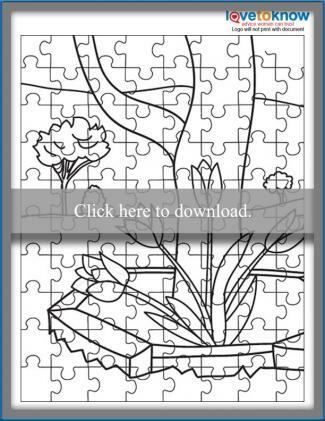 Whether it's rainy outside or you're just looking to encourage some television-free time, puzzles are an entertaining option. There are as many different types of puzzles as there are people to do them. 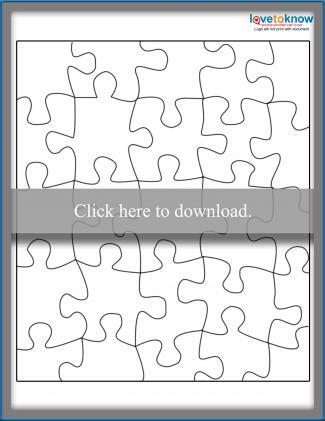 To print any of the puzzles you see in this article, click on the link in the image. If you need help, please see this online guide. Print the (above) puzzle on heavy-white or light-colored card stock. Have your child color the puzzle. Then cut it out, and store in a baggie or plastic container. To make the puzzle sturdier, you can either laminate or glue the card stock onto thin cardboard before cutting. Your child can also create her own puzzle by drawing on the puzzle first, then cutting it out. This maze is appropriate for older children. 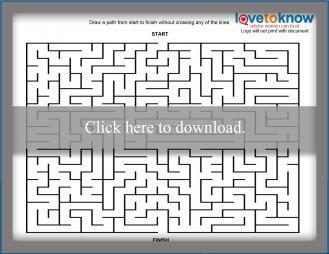 Challenge their brains on a rainy day by pulling out this more complicated maze. Print out the maze and solution on separate sheets of paper. Hand just the puzzle to your kids, only giving them the solution if they need help. Have them complete it in pencil in case they need to erase or retrace lines. Once they're done, have them go through the maze again, racing to see who finishes first. For younger children, try simple mazes that are easier to get through and work your way up to something more complicated. Rebus puzzles are puzzles that show a series of images, and you try to figure out what the phrase or word is that the puzzle is trying to portray. 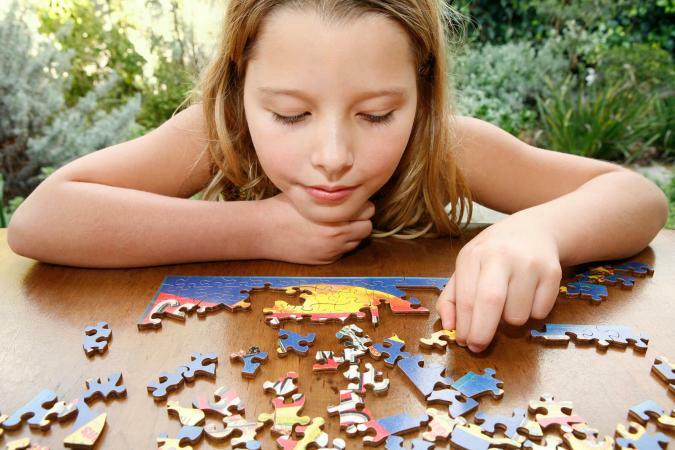 Ranging from very easy to fairly complicated, these puzzles are sure to keep kids thinking. If you really want to up your brain power, try something super challenging featuring traditional logic puzzles, sodukus, and Nonograms. Print these kids' logic puzzles and keep them in a binder for easy access. Traditional logic is a precursor to algebraic reasoning, forcing kids to find the answer by deduction. Nonograms have you creating a picture by filling in blocks according to a pattern. The trick is the pattern isn't given to you, but has to be deduced. In a sudoku puzzle, solvers must fill in each row, each column and each three by three square with the numbers one through nine - without repeating them anywhere in their respective row, column or square. It's tougher than it sounds. Print out some brain teasers and watch your kids' minds grow. Featuring a variety of visual illusions, tricky questions and ideas to ponder, these teasers will keep your kids busy for awhile. Printable word searches is a good start for kids who love word games. While word searches aren't necessarily great for stimulating logical or critical thinking, they are great for introducing thematic vocabulary, helping kids find spelling patterns in words, and improving observation skills. If you're looking for less paper clutter in your house, try some online puzzle sites. Planetarium - This is a mystery and logic puzzle all wrapped into one site. At the bottom, the site also has links to other, equally intriguing puzzles. Web Sudoku - Sudoku program online which allows you to change difficulty for easier or harder puzzles. Puzzles.com - This site touts itself as being the biggest puzzle site out there. You'll find brain teasers and logic questions galore. Hello Kids - Here you'll find a variety of board-style puzzles for the younger ages in popular themes. PuzzleMaker - If you just can't find what you need, Discovery Education's free puzzle maker can help you create something your child will love. It doesn't matter how old your child is, most kids are naturally drawn to figuring things out, and puzzles really encourage kids to solve problems. You can encourage this love of thinking by keeping lots of puzzles on hand and spending quality time working on puzzles with your child. Consider setting up an area in the house dedicated to puzzle solving. A card table for board puzzles, pencils, puzzle books, and printables all in the same place will help foster a love for solving puzzles and maybe even encourage less electronics time.